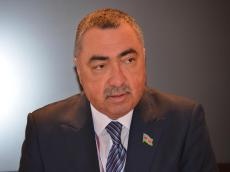 The year 2018 was quite successful for the Azerbaijani economy, Azerbaijani MP Rufat Guliyev told Trend. He said that last year, Azerbaijan defined the development of small and medium-sized enterprises (SMEs) as one of the priorities. He noted that the goal of the reforms is to create a sustainable class of micro, small and medium-sized entrepreneurs. He added that small business is an important part of the economy of all developed countries. He added that the opening of 118,000 jobs in Azerbaijan in 2018 is related to the improvement of the business climate, including in the field of SMEs. He noted that the authoritative global financial institution - the World Bank predicts the growth of Azerbaijan’s economy in 2019 at 3.6 percent, adding that in 2018 the growth of the country’s economy was 1.4 percent. He went on to add that cash turnover is decreasing in Azerbaijan, the share of cashless payments is increasing, this contributes to increasing economic transparency and is a positive macroeconomic factor. In conclusion, he noted that agriculture is also developing in Azerbaijan at a fairly good pace, which allows reducing the country’s foreign currency expenditures on imports of products.